Need more than 6 offices? No problem! Get a quote for your tax office practice management software. Simply call us at 877.323.4850 today! Unlimited Users and Storage! 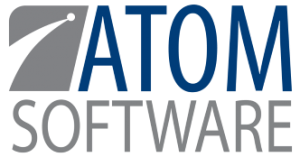 Our ATOM software annual license includes unlimited users, online storage, hosting and backup, training manuals, support, and upgrades! This one time start-up fee of $300 includes your database conversion, logo set-up, and unlimited phone training to ensure you are up and running properly! Ready to take the first step in moving your tax and accounting office to the next level of efficiency and productivity? Buy ATOM and if you are not 100% satisfied within the first 60 days we will refund your money – GUARANTEED! Currently using a variety of office software? One that doesn’t do the job completely? See what ATOM has to offer! You can pay for a year up front. ATOM contracts are billed annually or you can choose to pay monthly. We’ve found that customers who can commit to a full year of using ATOM are more successful in the long run. Your success is our goal, we want to encourage those practices that support that goal. What about a custom quote? Our experts will work with you to understand the specific needs and requirements of your tax or bookkeeping office. They will then develop a custom quote, based on our tax office software pricing. A user is any person who uses the software. Anyone that works in your office should be setup as an ATOM user. Other companies will charge you for the number of users you will need. ATOM offers UNLIMITED users at no extra charge! What if I’m not satisfied with the software? ATOM is an all-in-one tax office solution that works great for bookkeeping businesses as well. We have spent years in these industries and have developed a program that will make your business run more efficiently. We guarantee it! If you’re not satisfied with ATOM within 60 days of purchase, we will refund the purchase price, no questions asked. For my annual renewal fee, how much storage space am I allocated? For the $999 annual renewal fee you receive unlimited data storage. Developed in 2003, ATOM is a practice management software solution designed specifically for tax and accounting offices to help assist with the day to day hassles that management and staff must face. "The best thing to happen to the Tax Office..."
The Automated Tax Office Manager, to be referenced as ATOM, is owned and created by AUTOMATED TAX OFFICE MANAGER, LLC. AUTOMATED TAX OFFICE MANAGER, LLC to be referenced as AUTOMATED TAX OFFICE MANAGER. THE SOFTWARE PROVIDED BY AUTOMATED TAX OFFICE MANAGER IS PROVIDED WITHOUT WARRANTIES, EITHER EXPRESSED OR IMPLIED, OF MERCHANT ABILITY AND FITNESS FOR A PARTICULAR PURPOSE. IN NO EVENT SHALL AUTOMATED TAX OFFICE MANAGER OR ITS SUPPLIERS BE LIABLE FOR ANY DAMAGES WHATSOEVER INCLUDING DIRECT, INDIRECT, INCIDENTAL, CONSEQUENTIAL, LOSS OF BUSINESS PROFITS OR SPECIAL DAMAGES, EVEN IF AUTOMATED TAX OFFICE MANAGER OR ITS SUPPLIERS HAVE BEEN ADVISED OF THE POSSIBILITY OF SUCH DAMAGES. SOME STATES DO NOT ALLOW THE EXCLUSION OR LIMITATION OF LIABILITY FOR CONSEQUENTIAL OR INCIDENTAL DAMAGES SO THE FOREGOING LIMITATION MAY NOT APPLY. This is a legal document between you (the “user”) and AUTOMATED TAX OFFICE MANAGER. It is important that you read this document before using the ATOM provided software (the “Software”) and any accompanying documentation (“Documentation”). By using the Software and taking such other action as may be referenced in this License Agreement as Constituting acceptance, you agree to be bound by the terms of this Agreement. If you do not agree, you are not licensed to use the Software. This Software is distributed by AUTOMATED TAX OFFICE MANAGER for use in connection with various AUTOMATED TAX OFFICE MANAGER products and services (“AUTOMATED TAX OFFICE MANAGER Services’) and to allow you to access compatible data and is protected by copyright. You acknowledge and understand that these AUTOMATED TAX OFFICE MANAGER Services by means of the Software, including any charges for such access and use, will be governed by the terms of the applicable AUTOMATED TAX OFFICE MANAGER user agreement (“AUTOMATED TAX OFFICE MANAGER User Agreement”). License Grant. Automated Tax Office Manager grants User a non-exclusive, non-transferable, limited license to use the Software for the specified time. Copying. The software is sold on a per User office location. As to any software a “User” means all Software and compatible equipment having the same operating system at a single Office location. In addition, Office personnel who work at or are assigned to the licensed User office may use the Software on personal computers located off site. Other Restrictions. User may not loan, lease, distribute, transfer or allow access to the Software or copies to third parties, nor reverse engineer or otherwise attempt to discern the source code of the Software. Further. User may not reproduce all or any Portion of the Software (except as expressly permitted in this Agreement) or the Documentation. User agrees to notify its employees and agents who may have access to the Software of the restrictions contained in this Agreement and to ensure their compliance with these restrictions. User will be limited to usage by office site. Refund Policy. We will refund 100% of the software’s purchase price, excluding the $300 set-up fee, if you are not completely satisfied within the first 60 DAYs of purchase. This refund policy is good for the first licensed year only. Automated Tax Office Manager will back-up all client data stored in the software such as: contact information, transaction information, notes, and uploaded documents, at no additional fee. NOTE: The client back-up will be saved for only two weeks and at that time it will be overridden with the latest client back-up. Any additional back-ups will be at the cost of the User. In the event the User cancels their license agreement, Automated Tax Office Manager can export the User’s client data into one of the following mediums for a fee: MS SQL, MS Access, FTP, MS Excel, and .CSV file format. The performance of the Software varies with various manufacturers’ equipment with which it is used. Automated Tax Office Manager does not warrant the level of performance of the Software or that earlier versions superseded by new versions will continue to perform at the same level with the User’s equipment. Automated Tax Office Manager does not warrant that the Software or the functions contained in the Software will meet User’s requirements, operate without interruption or be error free. Limitation of liability. In no event will Automated Tax Office Manager be liable for any lost profits or other damages, including direct, indirect, incidental, special, consequential or any other type of damages, arising out of this Agreement or the use of the Software licensed hereunder, even if Automated Tax Office Manager has been advised of the possibility of such damages. With the sole exception of such damages equal to the software fee received from the User. Term and Termination. This Agreement and User’s subscription to the Software may be terminated (i) by User by giving Automated Tax Office Manager written notice of termination, (ii) by Automated Tax Office Manager, at its option, if User commits a material breach of the agreement, or (iii) upon termination of the Automated Tax Office Manager User Agreement, if any. Upon any termination of this Agreement, (i) User must cease all use of the Software, (ii) User must take such other actions as Automated Tax Office Manager may reasonably request to ensure that the User has stopped using the software and (iii) User will receive their data stored in the software for a minimal fee. This Agreement together with any applicable Automated Tax Office Manager user Agreement embodies the entire understanding between the parties with respect to, and supersedes any prior understanding or agreement, oral or written, relating to the Software. Governing law. This Agreement will be governed by and construed under the laws of the state of Michigan, U.S.A.
2016/2017 Automated Tax Office Manager, LLC. All rights reserved. When you register at ATOM, we request personally identifiable information such as name, email address, phone number, and postal address. We use this data to manage registrations. From time to time we post testimonials on our Web site. Prior to posting the testimonials and personally identifiable information we receive permission. If you purchase our service, we request certain personally identifiable information from you on our order from. You must provide contact information (such as name, email and shipping address) and financial information (such as credit card number, expiration date). We use this information for billing purposes and to fill your orders. If we have trouble processing an order we will use this information to contact you. We also use this information to notify you of annual renewals, software updates and other aspects of your use of ATOM. If, however, you do not wish to receive such communications, you have the ability to “opt-out” at any time. From time to time, we may ask you to answer surveys regarding current or future ATOM products. Participation in these surveys is always optional. Survey responses are only used in the aggregate, and are never linked to an individual. While our survey data is primarily for use within ATOM only, we may occasionally share the aggregate survey data with our development partners (e.g. web design, advertising and marketing agencies) in order to facilitate new product development. Our employees are trained and required to safeguard your information. Using physical, electronic and procedural safeguards, we restrict access to personal information to those employees for business purposes only. All communications between your computers and our servers are secured with 256-bit Secure Sockets Layer (SSL) encryption. We use GeoTrust SSL Certificate for the most secure option for SSL with the highest authentication and the strongest encryption. We host our servers on a Private Cloud network at Liquid Web, a SSAE-16 Type audited secure data center located in Lansing, MI. If there is a change in our policy, we will post it immediately at atomanager.com. YOU CAN LOG IN TO YOUR ACCOUNT BY CLICKING CLIENT LOGIN. Or leave us a message by clicking Client Messages.